Good morning! Today I have some more Bella solids talk–I’ve been working on more Moda Friendship blocks using the Bella solids, and it’s been a lot of fun! In fact, I’ve been having so much fun making these blocks, I’m going to have a solids quilt-along parade on my blog, A Quilting Life…you can find out all about it by reading here. For today’s post, I’ve also enlisted the help of Pat Sloan to talk about some of her favorite Bella solids (and especially those Bellas that will go well with her upcoming collection, Bits & Bobbins). Pat continues, “Then I found Seafoam (191) looks amazing with the reds, which are a bit of a tomato red! I have to say “thank you” to Pat who provided me with the photos and her thoughts on these terrific Bella solids combinations today. Every once in a while I find a Bella solid that coordinates amazingly well with something else, and sometimes it happens quite by accident as with the fabrics below. I was taking pictures for a couple of different posts, and one of the prints from Oink a Doodle Moo ended up next to one of my Moda Friendship blocks…both of these green Bellas, 9900 28 (Grass), and 9900 75 (Lime) coordinate perfectly with the print from Oink a Doodle Moo! I’ll definitely be binding my quilt with one of these two Bellas! I love it when this happens. 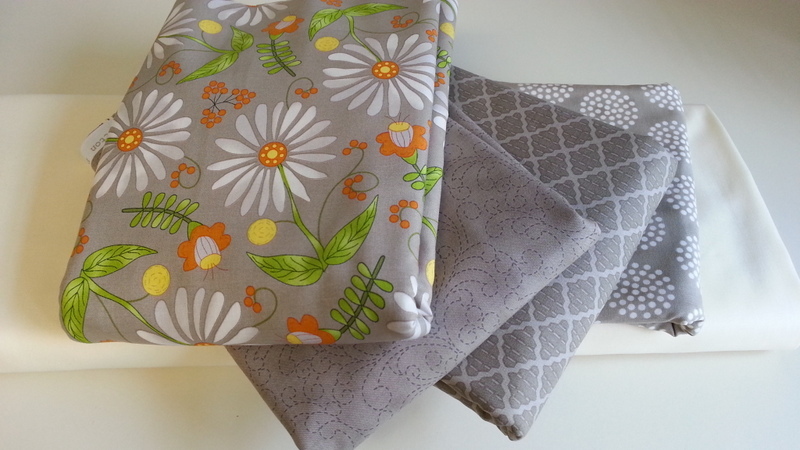 Next Next post: Bella Solids…Matching Them Up! Those blocks sure are looking pretty! Thanks for a great post! I am definitely going to look for Pat’s new collection! I’ve got to have that text print!!!!! Oh my goodness! I cannot wait for Pat’s new line – love, love the gray. And that Bella green looks yummy with Oink a Doodle Moo! where can I find the text fabric? Pat’s new line loves fantastic! I love your blocks done in solids. Pretty blocks! 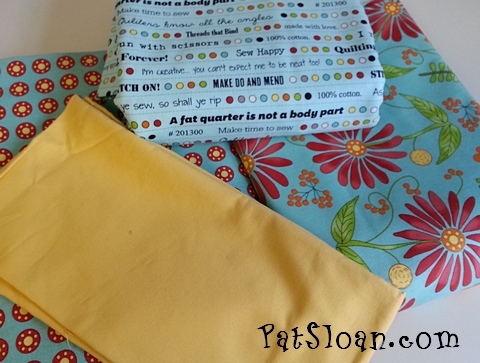 I can’t wait to see Pat’s new fabric. It looks so cute. 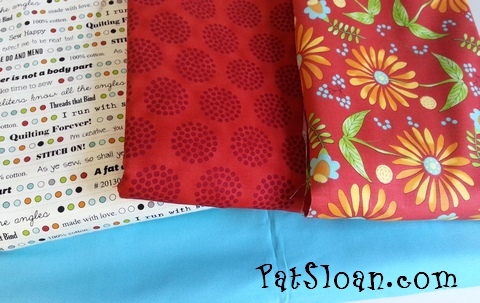 My new “Bobbins and Bits” fabric will be in your favorite quilt shop in August!! Be sure you ask your favorite shop to order it for you.. hugs! I love that the new collections are being presented with the coordinating solids! 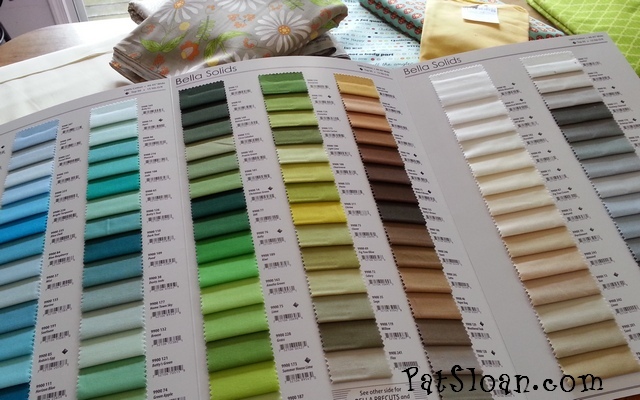 All those fabrics look great with each other!